CHICAGO — A man died after being hit by several bullets in an apparent gang-related shooting in Chicago Lawn Wednesday, officials said. 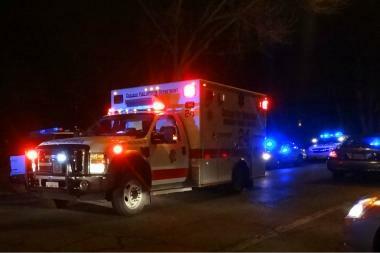 The shooting occurred about 1:25 a.m. in the 3300 block of West 60th Street, police said. Brandon Cage was standing with a group of people when a black Ford Taurus pulled up and a man got out and yelled gang slogans, according to police and Cook County Medical Examiner's Office. The group yelled back their own slogans, and the man started firing. Cage was hit several times, and was rushed in critical condition to Advocate Christ Medical Center, police said. He was pronounced dead at Christ about 3 a.m. Wednesday. Cage's home address was unknown and he was believed to be in his 30s, according to the Cook County Medical Examiner's Office.